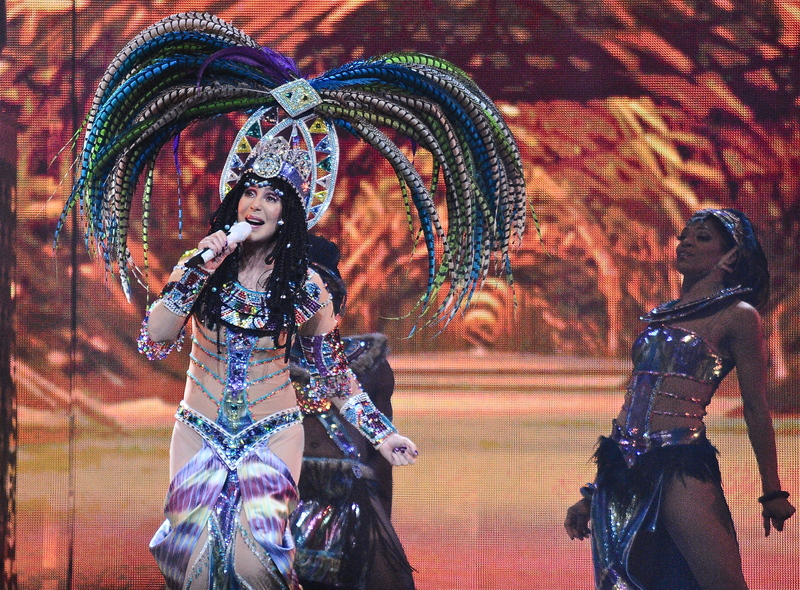 All the glitz and the glamor of Cher’s Las Vegas style Dressed To Kill Tour landed in the First Niagara Center on Wednesday much to the delight of the near sellout crowd. 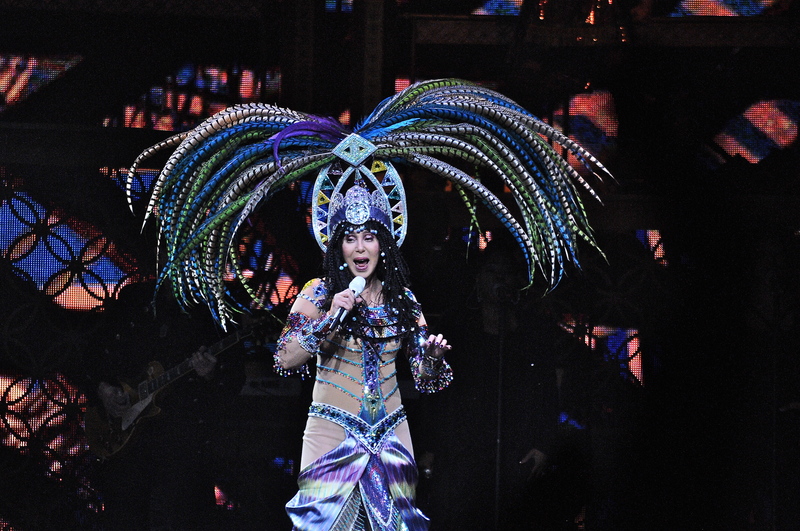 Cher stated a few times during the show that this was her farewell, farewell tour. Cher had last played at the arena in 2003 on what was her first farewell tour. This time I think her words were honest when she said that this will be it. With the house lights still on Cher announced over the pa that she was on her way out. As the lights dimmed and the curtain raised the spectacle began. The Goddess of Pop, queen of costume changes (yes there were many), hit the stage to “Woman’s World” off her latest release Closer To The Truth. 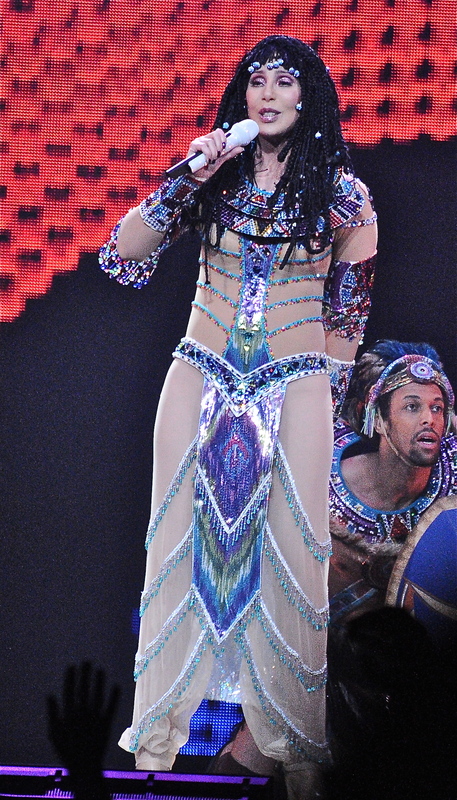 Cher turned back time as she did a medley featuring some of her biggest hits of the seventies ironically all of them reached number one on the charts. “Gypsys, Tramps & Thieves” was promptly followed by a quick run through of her 1974 smash “Dark Lady.” A quick costume change and she appeared wearing a headdress meaning one thing, that it was time for “Half-Breed.” The medley was a nice touch but would have gone over better if she had played each song in its entirety. As the show progressed the costume changes kept coming. The audience seemed a little restless until “I Found Someone” brought them out of their seats and “If I Could Turn Back Time” certainly had the majority of them singing and dancing along. Cher is an icon, a diva and a legend. She has been involved with so many things over her career. She has won so many awards and received so many honors. How many have won an Academy Award, a Grammy Award, an Emmy and not one but three Golden Globe awards. Cher is also the only artist to have at least a number one single on the Billboard chart in each of the past six decades. She pulled out all the stops one more time to show everyone who the originator of elaborate shows was. Her legacy is something that we may never see again in our lifetime. It was a real treat for fans to not only get to see a legend in Cher but also a high caliber act such as special guest Cyndi Lauper on this the second leg of the Dressed To Kill tour. 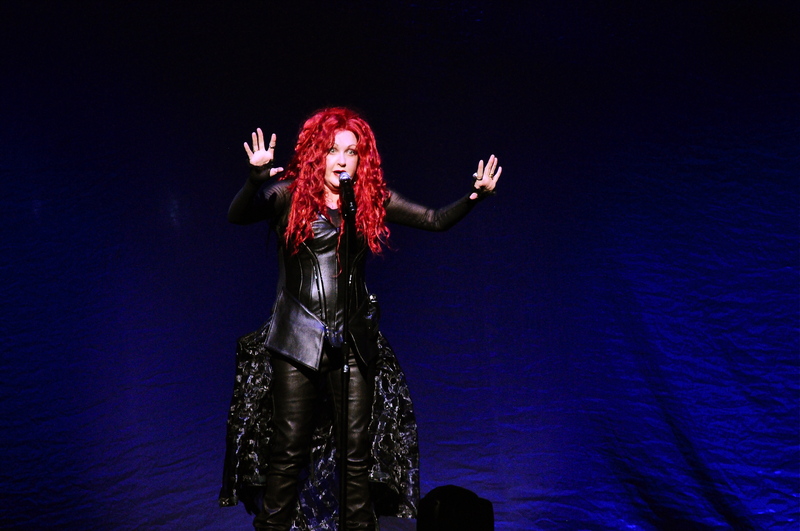 It was the first show that Cyndi Lauper climbed aboard for. Rocker Pat Benatar had previously opened the first leg. 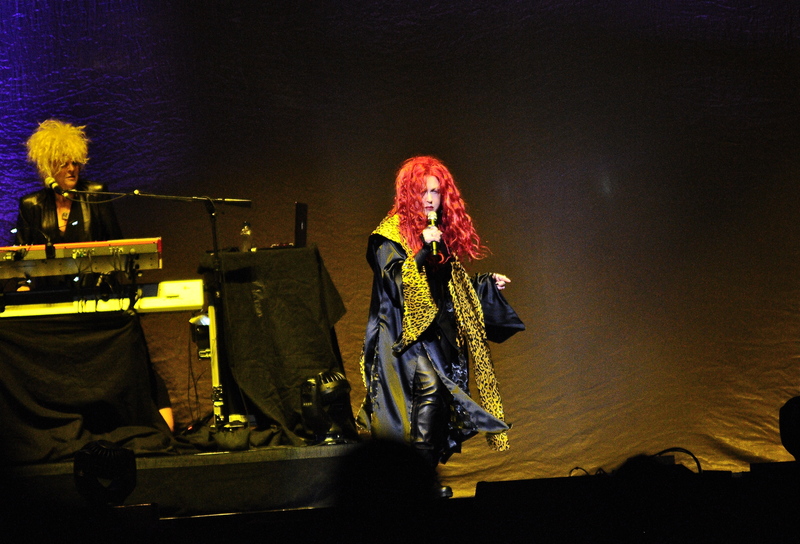 Lauper has been celebrating the thirty year anniversary of She’s So Unusual, her breakthrough album and featured a good portion of it during her forty-five minute set. She kicked things off with “She Bop” and by the midway point of her all too brief set she changed it up on the fly as she announced to the crowd. By the time mega-hit “Girls Just Want To Have Fun” came on, everyone was standing on their feet. It was after this that her band exited the stage and Lauper played her final two songs with a keyboardist present to accompany her at best. A rare play of the underrated “Hat Full Of Stars” and her closing number, the smash “True Colors” made it an enjoyable evening for all. Special thanks to Tracey Mancini and Buffalo Ray Halm for all of their help.